Money makes the world go `round, but it doesn't have to make your head spin! This budgeting workbook is packed with easy-to-use worksheets, money-saving tips, advice from financial experts, and prompts to help you set (and achieve) realistic financial goals. Customizable monthly budgets let you record and manage your expenses by category, as well as see the big-picture impact of day-to-day decisions. But setting up a good budget isn't just about tracking daily spending; it's about long-term financial health-so Common Cents will also help you start saving, building up an emergency fund, paying off your debts, and learning how to invest in your future. 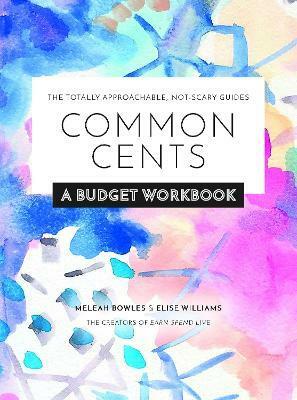 Common Cents is designed to help organize your financial life-you'll learn how to make money work for you. Earn Spend Live came to be when a finance editor sat down with a careers editor and decided we had a lot in common. We're both professionals in our twenties, learning how to manage our work responsibilities and make smart(ish) financial decisions, all while trying to remember to fold our laundry. Being an adult is hard, but we want to make it easier. As professional twentysomethings, we know we don't have it all figured out-so we wanted to create a space where other twentysomethings (like you!) can come to get direct and to-the-point advice on climbing up the career ladder, setting yourself up for financial success, and still making time to veg out on the couch with a good movie. Earn Spend Live is our place to bring you first-person accounts of what it really takes to make it.